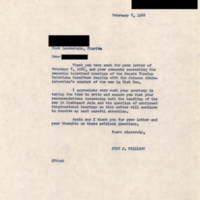 The Disabled American Veterans organization sent a letter and wall map of Vietnam to Senator John J. Williams. 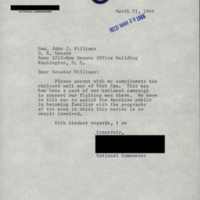 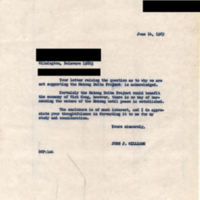 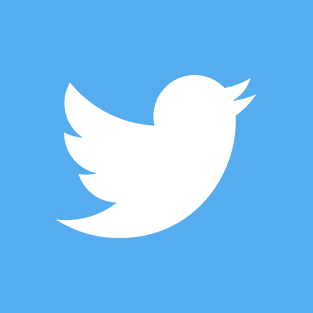 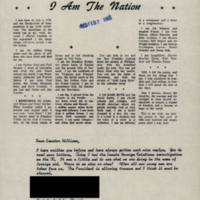 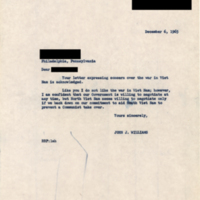 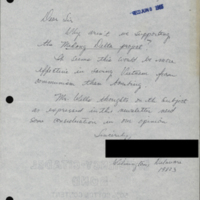 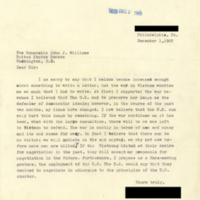 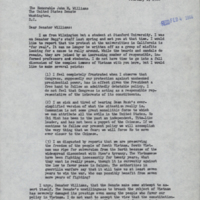 In this constituent response letter, Senator John J. Williams acknowledged the constituent's comments about the televised hearings of the Senate Foreign Relations Committee dealing with the Johnson administration's conduct of the war in Vietnam. 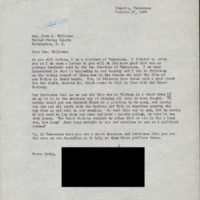 As the U.S. became more involved with the conflict in Vietnam, many constituents, such as this Philadelphia resident, wrote to Senator John J. Williams urging him to employ the aid of the United Nations to mediate the war. 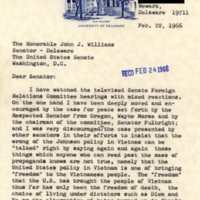 This Delawarean, along with many other constituents, wrote to Senator Williams urging the United States government to support the Mekong Delta River project to develop infrastructure along the Mekong River in the southwestern region of Vietnam.